Properties in Craftsbury average 4.8 out of 5 stars. Property 1: Charming 'Craftsbury Farmhouse' w/ Hot Tub! Property 7: Lakeview cabin with beach access, screened-in porch, gas grill, and more! Property 11: Cabin rentals near Stowe, Smuggler's Notch, breweries and hiking trails. Property 18: One of a kind, Caspian Lake Front Cottage/Home on the waters edge. Enjoy a view of Caspian lake and beautiful sunsets from an expansive deck. Property 27: Enjoy a view of Caspian lake and beautiful sunsets from an expansive deck. Property 30: NEW! Cozy 'Loonsong House' on Little Hosmer Pond! Property 33: Stowe Area Apt w/ Updated Game Room - Near Skiing! Property 35: Quiet beauty abounds with lake, mountain and meadow views. Property 40: Cabin rentals near Stowe, Smuggler's Notch, snow machine and hiking trails. 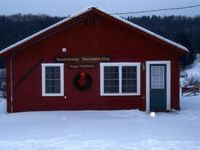 Property 44: Wonderful Vermont Get Away, Great Family Fun. Your vacation spot in the beautiful NE Kingdom of VT. Great Views, Private Pond. 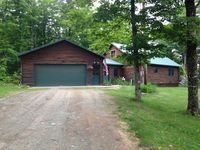 Property 46: Your vacation spot in the beautiful NE Kingdom of VT. Great Views, Private Pond. Booked a last minute trip to Vermont and found this cozy little cabin. Jeremy and Anna were excellent hosts and gave us lots of information on the area. Cabin was exactly as described and super cozy for us to crash after enjoying 28 inches of fresh snow while exploring the NEK! Would definitely stay again!